Having pioneered controlled release fertilizers 48 years ago, our worldleading Osmocote range of products are still evolving thanks to innovative new technologies. The most significant difference between then and now is the level of applied scientific horticultural knowledge. Our most advanced, 4th generation, Osmocote fertilizers provide a choice of longevities as well as the way nutrients are released making these products unique. No matter which Osmocote controlled release fertilizer product is selected, growers can rest assured the highest quality and return on investment will be delivered. 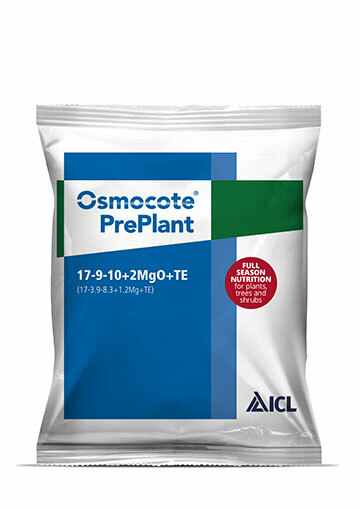 Osmocote Exact Dual Coating Technology (DCT), sets the new standard with its fourth generation of coated fertilizer featuring programmed release. With this revolutionary product the start of the nutrient release is postponed until a later predetermined time. tested and top brand product. Fully coated iron sulphate fertilizer with controlled release. For iron-demanding pot plants, bedding plants, perennials and container nursery stock. To be mixed into growing medium. 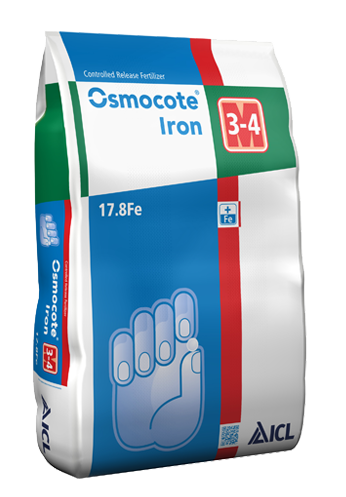 Ideal for use in combination with other Osmocote products and water soluble fertilizers to easily and effectively increase iron level in growing media. Please note: this product is temporarily unavailable until further notice.